The Israeli occupation forces (IOF) on Thursday stormed different areas of Occupied Jerusalem, raided homes and arrested a Palestinian citizen from the Old City. According to Quds Press, Israeli police forces raided and ransacked several homes today in Issawiya district in east Jerusalem, with no reported arrests. Israeli soldiers also stormed Biddu town northeast of Jerusalem and clashed with local young men. In the Old City of Jerusalem, Israeli policemen arrested a Palestinian paramedic identified as Wisam Hammouda during a raid on his home and took him to a detention center in the city for interrogation. In separate incidents, eight Palestinian citizens were taken prisoners during dawn raids today on homes in different areas of Jerusalem and the West Bank. 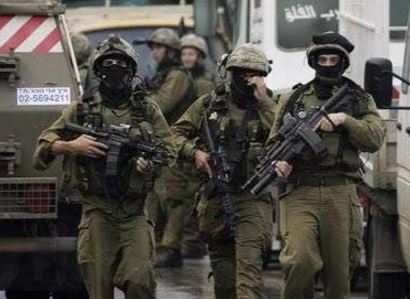 The Israeli occupation forces (IOF) on Thursday kidnapped 13 Palestinians, including a female minor, from the occupied West Bank. According to the Palestinian Prisoner Society (PPS), the IOF kidnapped four Palestinians from Bethlehem, three from al-Khalil, and two others from Jenin and Ramallah. in search for alleged gunmen. Eyewitnesses said dozens of Israeli army patrols raked through Palestinian lands near the Brakha settlement and have been stationed across the area. Palestinian locals said the IOF soldiers have often seized their lands in an attempt to force them out of the area in favor of illegal settlement expansion. 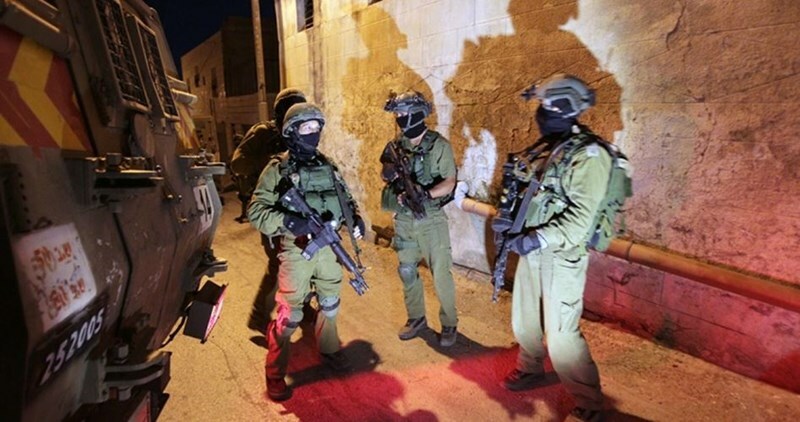 The IOF troops further stormed Palestinian commercial shops in Hawara town, in southern Nablus, and inspected surveillance cameras in search for Palestinian anti-occupation youth. Earlier, overnight, the IOF sealed off the Beit Furik checkpoint for an hour and a half for the second day running. Lawyer Mutaz Sheqairat said that the Palestinian captive Sami Janazra who has been on hunger strike for 63 days has started to stop taking water for two days in response to Israeli maltreatment. Lawyer Sheqairat who visited detainee Janazra in the Israeli Soroka hospital affirmed that his health condition is worsening. His weight became 48 kilograms and his body temperature declined to 36. However, he is determined to continue his hunger strike until freedom or martyrdom, the lawyer pointed out. 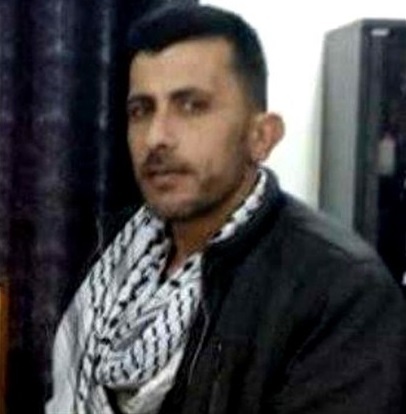 Prisoner Janazra appealed to all human rights organizations to intervene and pressure Israeli authorities, especially the intelligence forces who practice pressure against him in order to force him end his strike, to end his illegal administrative detention which is based on no charge or trial, the lawyer said. The Israeli occupation forces (IOF) on Wednesday evening kidnapped a sick Palestinian youth as he tried to pass through the Beit Hanun (Erez) crossing on his way to 1948 Occupied Palestine for urgent treatment. Local sources said the IOF arrested the sick youngster Muhammad Awad al-Beheisi, 18, on his way to 1948 Occupied Palestine for a recovery journey. 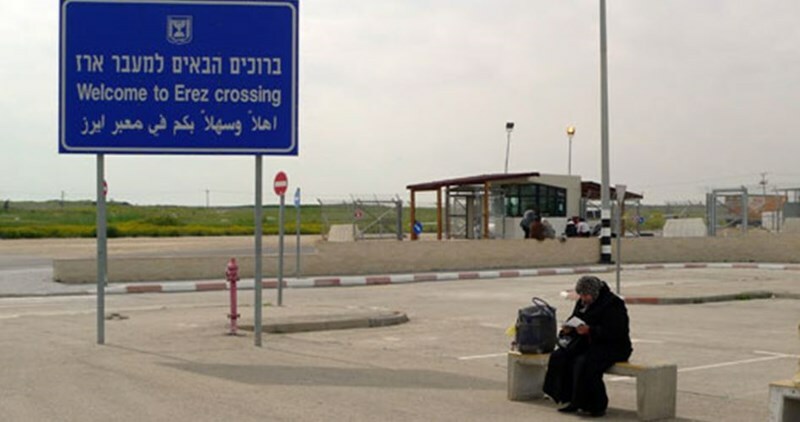 The Israeli occupation army stepped up arrests against Palestinians at the Beit Hanun border-crossing despite obtaining Israeli permits for travel and most of the arrestees were either patients or merchants. 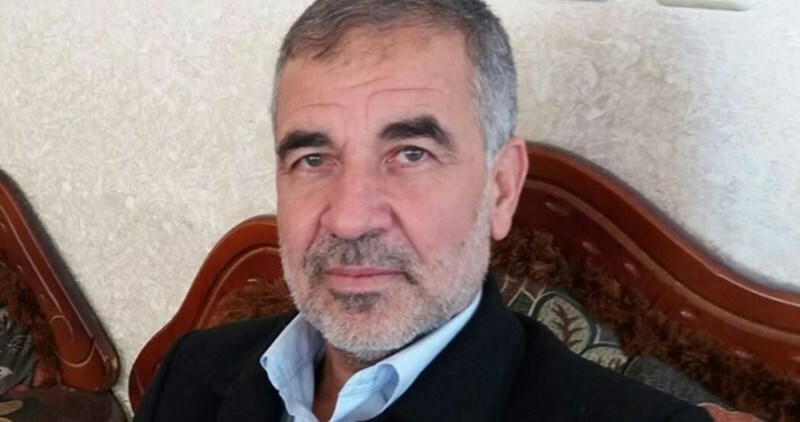 The Israeli Salem military court on Wednesday sentenced the Hamas leader Nazih Abu Oun to six months in jail on charges of incitement. Sources close to Abu Oun’s family said the Israeli occupation authorities accused the activist of inciting against Israel through mass media. Abu Oun had been incarcerated for 16 years in the Israeli occupation jails. 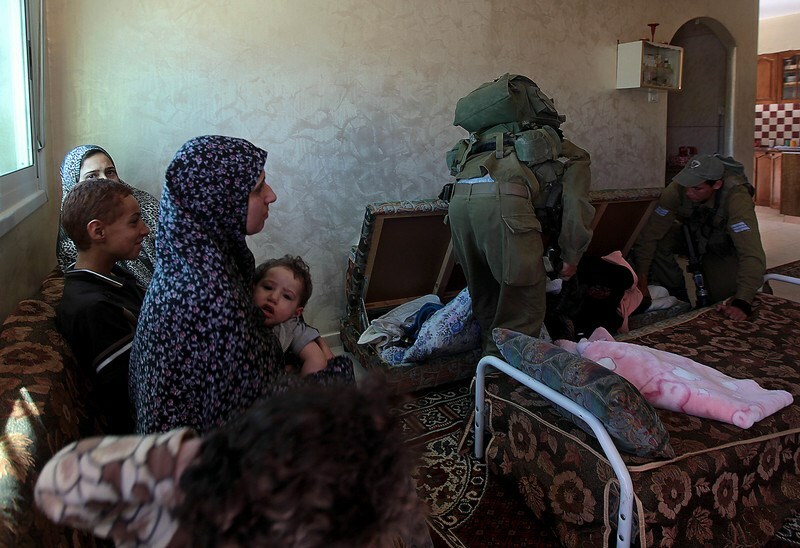 He was arrested by the Israeli occupation soldiers from his own family home in Jenin on April 5. 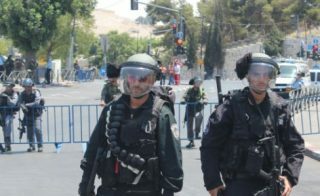 An Israeli special unit at noontime on Wednesday kidnapped the anti-occupation activist Atef al-Salhi, 43, from the central occupied West Bank city of Ramallah. Local sources said the IOF kidnapped al-Salhi in an ambush set up near Silwad before they dragged him to an Israeli military camp in the Ofra illegal settlement, to the east of Ramallah. Al-Salhi was released from the Palestinian Authority (PA) jails just a few hours earlier after he had served a sentence of six years on charges of anti-occupation activism. The IOF also accused al-Salhi of involvement in the anti-occupation shooting that was carried out on September 1, 2010 in Ramallah. The Israeli Maariv news site said the IOF kidnapped al-Salhi right after reports were issued on his release from the PA lock-ups. Eyewitnesses in occupied Jerusalem said the soldiers kidnapped a child, only 14 years of age, in the Old city, after attacking and beating her. On Wednesday evening, the soldiers shot and injured a disabled young man, at the main entrance of Sa’ir town, east of Hebron city. Palestinian security sources in Hebron said the soldiers shot Arif Sharif Abdul-Ghaffar Jaradat, 21, with a live round in his back. Jaradat was moved to a hospital in Hebron city, suffering a moderate injury. It is worth mentioning that, on Wednesday at dawn, the soldiers invaded and searched a home in the at-Tour village, east of occupied Jerusalem, and kidnapped one Palestinian, identified as Ehab Abu al-Hawa, 21. Three young men in occupied Jerusalem were rounded up on Wednesday evening for allegedly attempting a stabbing attack. Hebrew media sources claimed that a knife was found with one of the detainees while a sledgehammer was found with another. 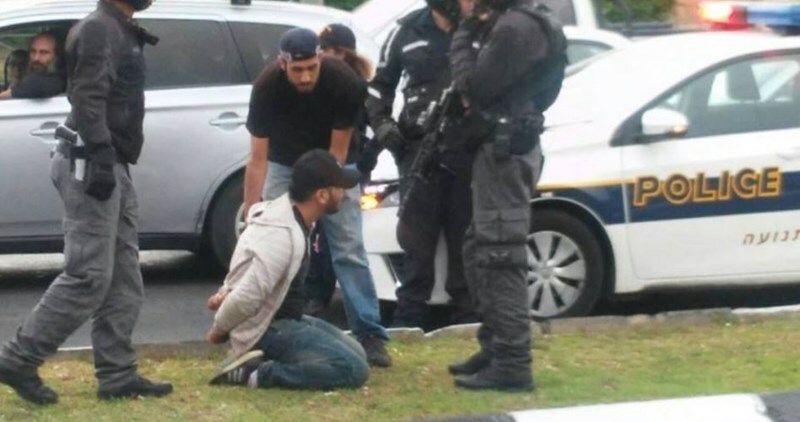 The sources said that the attack was planned in northern Jerusalem and that the suspects were being investigated. 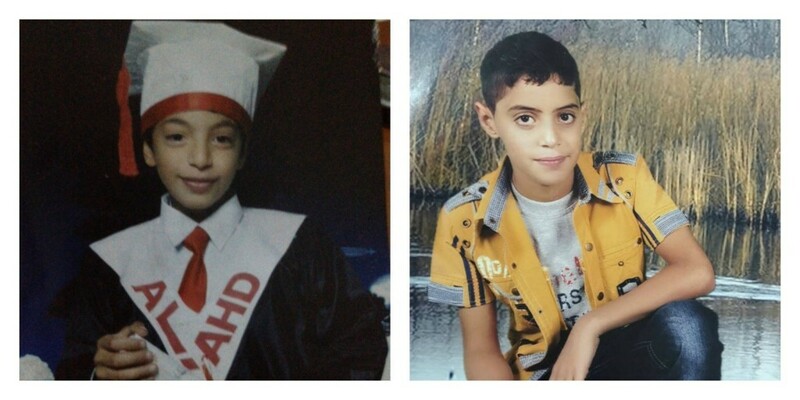 Israeli Central Court of Jerusalem Tuesday adjourned the trial of two juvenile Palestinian cousins: Ali Alqam, 12, and Muawiya Alqam, 13, to June 5th. The minor Muawiya affirmed to the judge that he was subjected to severe beating during his transfer to the court while beating marks were obviously clear on his hands and face. In coincidence with the trial procedures, the popular committee for the release of juvenile captives, organized a protest sit-in before the court’s building. The committee’s coordinator Abdullah Alqam condemned the adjournment decision of the trial and opined that it was taken deliberately. He also condemned the Israeli ministerial decision to endorse the children law proposal which allows convicting minors below 14 years old. Alqam underlined that the bill is contrary to the principles of the juveniles’ law and the international charter for child rights. Both boys were arrested on November, 8, 2015 after an Israeli security guard at a train station opened his gunfire at them. Ali was injured by three bullets in the abdomen and right hand. Both were arrested and charged with attempting to stab a security guard near Pisgat Ze'ev settlement. Hamas detainees held in the Israeli Nafha jail announced their decision to dissolve the Hamas prisoners movement in protest at the oppressive policies pursued by the Israeli prison service (IPS). The move implies that the prisoners are no longer represented by a leader and that the IPS has to negotiate with the detainees one by one. Hamas prisoners in other occupation jails also threatened to dissolve the prisoners organization as a protest move initiated in response to the transfer of prisoner Jamal al-Hur from Nafha to the Eshel lock-up. Tension has flared up in the prison after the IPS cut off water and electricity. Prisoners of the Islamic Jihad and Fatah movements have, meanwhile, been seeking ways to respond to Israel’s oppressive measures against Hamas detainees. The Palestinian sick detainee Mansour Moqedeh, from al-Zawiya town west of Salfit, went on his hunger strike for 23 days in a row in protest against the Israeli policy of medical neglect. He has also been refraining from taking liquids since then. Captive Moqedeh suffers from partial paralysis due to Israeli shooting during his arrest in al-Aqsa Intifada which broke out in 2000. He is now struggling with a serious health condition which needs special care. 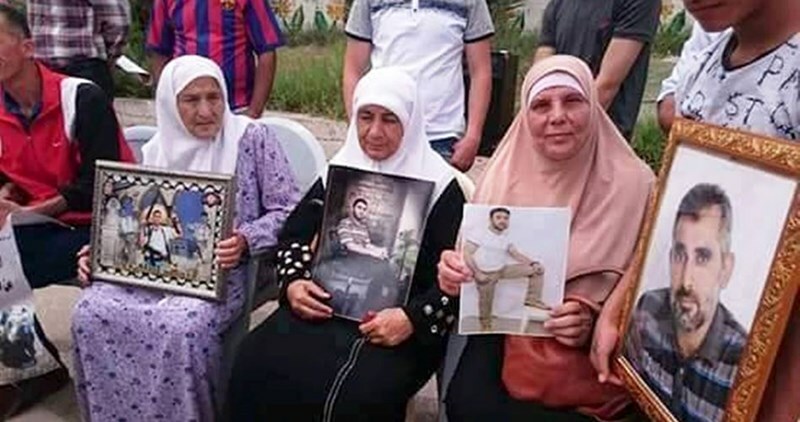 Three Palestinian prisoners continued their hunger strike in Israeli jails in protest against their illegal administrative detention according to which they are held without charge or trial. 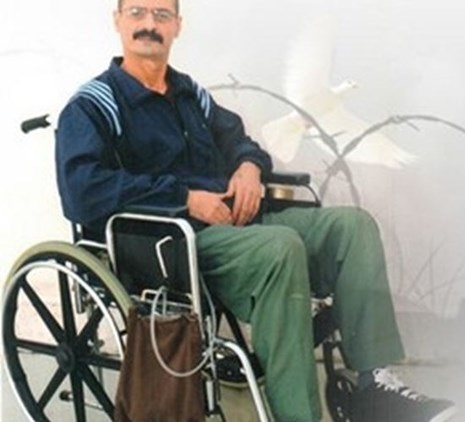 The Palestinian Prisoners Society (PPS) said that the prisoner Sami Janazra, who is currently held in Soroka hospital, has maintained his hunger strike for 63 days and still is adamant on continuing despite his serious health deterioration. He was moved more than once to solitary confinement in an attempt to break his strike, the PPS pointed out, saying that he was beaten by Israeli guards while being held in Soroka hospital. Along the same line, the two prisoners Fuad Assi and Adib Mafarjeh have been on hunger strike for a whole month. The Israeli prison service moved both of them to solitary confinement to put more pressures on them to stop their hunger strike. 33-year-old Palestinian detainee Muhammad Issa al-Qawasmeh has been on an open-ended hunger strike for 12 days in protest at his isolation in the Israeli Ashkelon jail, a rights group said Wednesday. 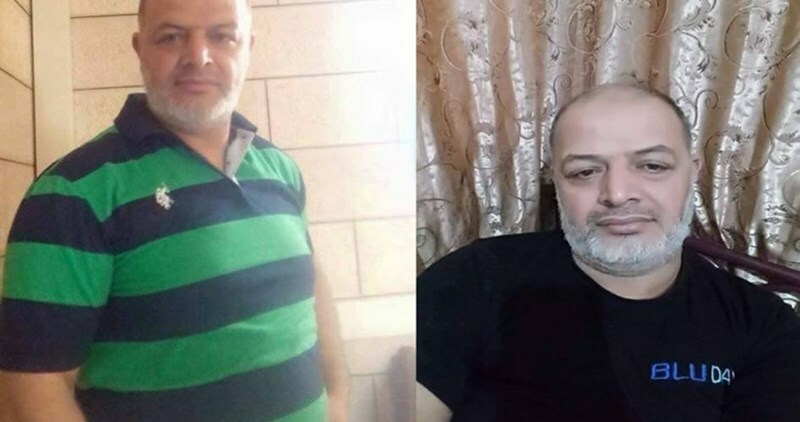 Head of the Palestinian Prisoner Society (PPS), Amjad al-Najar, said the Israeli prison service (IPS) has kept al-Qawasmeh, sentenced to 14 years and jailed since 2003, in a solitary lock-down for a month. The detainee wrote several books and completed his Masters degree in Israeli jail. Meanwhile, the Israeli Haaretz newspaper said Israeli occupation soldiers prevented 34 Palestinian detainees from drinking water and toilets for 11 hours due to the long inter-prison transfer journey. The 34 Palestinian detainees were forced to relieve themselves inside the vehicle and had been made to endure stench for 11 hours. Palestinian detainees have always launched cries for help over the harsh mistreatment and psychological agony they have been made to endure all the way through inter-prison transfer journeys, during which they are forced to sit on iron chairs, eat poor-quality food while they are handcuffed, and endure disgusting smells. Palestinian factions and activists organized on Tuesday a sit-in in solidarity with the hunger strike prisoner Sami Janazra and journalist detainee Omar Nazzal in Tubas. Participants in the sit-in waved photos of both captives and warned the Israeli occupation of disregarding prisoners’ lives and demanded prosecuting Israeli leaders at the International Criminal Court. The event included speeches which affirmed the seriousness of the health condition of captive Janazra who is held at Soroka hospital in Negev with no actual health care service. 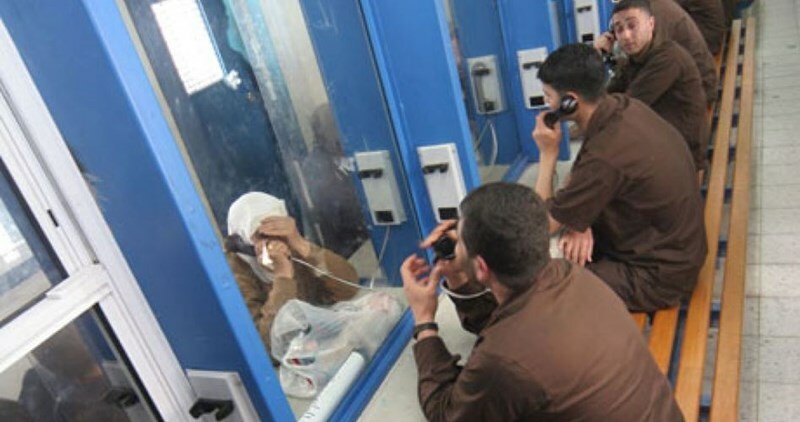 Palestinians prisoners in the Israeli Gilboa prison said that the Israeli Prison Service (IPS) has been procrastinating in supplying captives with fans for the coming summer season and the expected high humidity in the prison. Head of the legal unit at Palestinian Prisoner Society, lawyer Jawad Bulus, who visited the prison on Tuesday, revealed that each section contains 120 detainees suffering from high temperature and humidity. 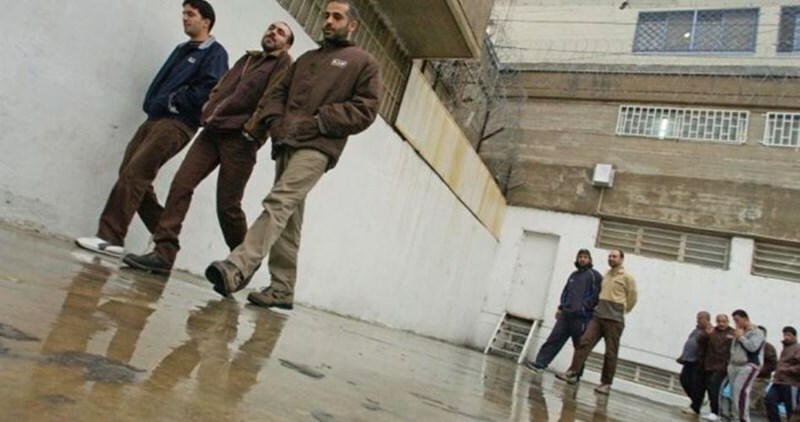 The Jerusalemite prisoners held in Gilboa jail called on competent authorities to solve the canteen issue which aggravated in light of the increase of Jerusalemite detainees' numbers over the past few months. The Israeli Occupation Forces (IOF) arrested at dawn Wednesday a Palestinian minor and summoned two others after breaking into al-Khalil south of the West Bank. According to the PIC reporter, IOF soldiers stormed in large numbers Aroub refugee camp north of the city and arrested a 15-year-old boy before breaking into and searching his family home. Israeli forces also stormed Idna town and violently raided a local home before summoning its owner and his son for investigation. On the other hand, hundreds of settlers stormed overnight Kifl Haris town north of Salfit where they performed Talmudic rituals at Islamic historical shrines under Israeli forces’ protection. The Israeli settlers’ break-ins to Muslim shrines have escalated due to the Passover holiday.